​Stay; Archival Pigment Ink Photograph on Metal; 15" x 20"
I create photographs to work through the different times in my life and the emotions experienced with them. Quite simply, my photographs express how I am feeling at that particular moment. An element of storytelling is always present in my images, whether it is a single image or a series. The story starts in my head and the photograph I create is the visual representation and “heart” of that story. Many of the themes in my photographs are searching for a sense of place in the world or finding a connection. Growing up, I moved a lot and I think that beginning influenced my photography and the constant search for home, connection and finding my place in the world. The two images in this show, Whisper and Stay are my feelings of hitting mid-life and wondering, “Where do I go from here?” I often feel like I’m pushing my way out of water or a dream-like atmosphere trying to figure out what my next step is going to be. I use my iPhone for many of my images including the ones in this show. I find that this camera works best for me because it’s always with me. It gives me the freedom to be creative anywhere and at all times. I don’t have to wait for inspiration to strike. I’m always prepared to be inspired by a story. ​Catherine Panebianco was born in British Columbia, Canada and currently lives in Jamestown, NY. Her photography has been exhibited both in the U.S. and internationally. Her work was a finalist in the Soho Photo Gallery’s Portfolio Competition in New York City, a finalist in Photolucida’s Critical Mass Competition and a runner-up in the 10th Annual Julia Margaret Cameron Awards. Her photography has been shown at the Griffin Museum of Photography, Soho Photo Gallery, the Center for Fine Art Photography and the Erie Art Museum in addition to many other venues. Catherine’s work has also been in numerous publications and she teaches fine art iPhone photography workshops. 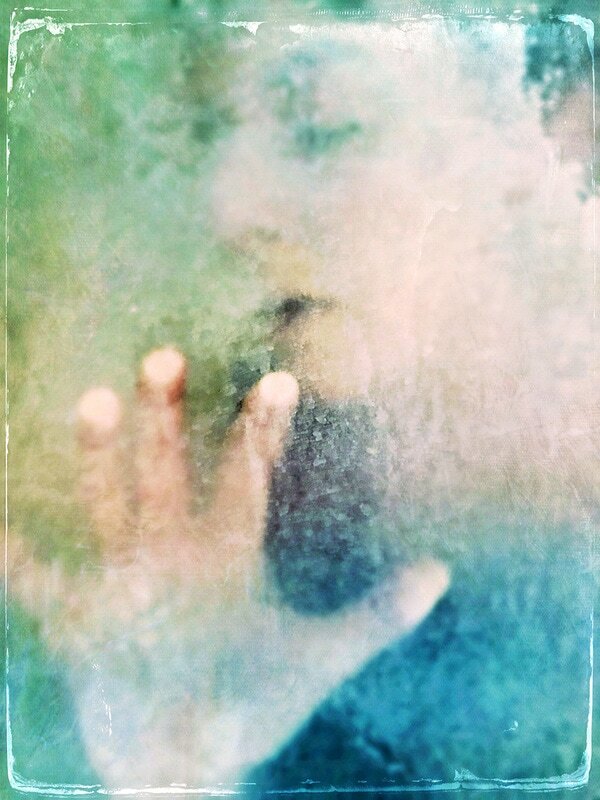 Whisper; Archival Pigment Ink Photograph on Metal; 15" x 20"